A new time-traveling fantasy from National Book Award-winner Lisa Goldstein. Ann Decker fixes computers for a living, and in the evenings she passes the time sharpening her hacking skills. It's not a very interesting life, but she gets byuntil one day she's contacted with a job offer for a company called Transformations Incorporated. None of her coworkers have ever heard of it before, and when Ann is finally told what the company does, she can hardly believe it: TI has invented technology to travel in time. When a coworker turns up dead, Ann’s superiors warn her about a covert group called Core out to sabotage the company. Something just isn’t right, but before she has time to investigate, Ann is sent to a castle in the south of France, nearly a thousand years in the past. As the armies of the Crusade arrive to lay siege, and intrigue grows among the viscount’s family, Ann will discover the startling truthnot just about the company that sent her there, but also about her own past. "Weighing Shadowsshimmers with intelligence and intrigue. It is that rare phenomenon: a science-fiction novel that faces squarely the hard trade-offs between compassion and self-preservation. This is story-telling at its best." 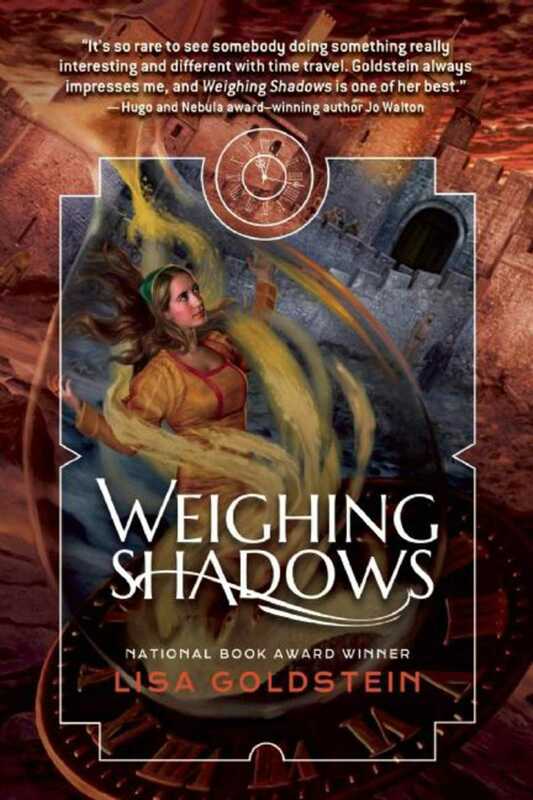 "Weighing Shadows passes the acid test of time-travel fiction with flying colorsit makes you think about the past in a brand new way, both in a personal sense and in terms of the weight of history. It turns out Lisa Goldstein's time travelers are just as fascinating as her travelers in magic."